Microsoft PowerApps is an ideal tool for organizations to build powerful apps that span productivity and business data. PowerApps can connect to existing Office 365 datasources such as SharePoint Online or Microsoft Dynamics and easily build apps that fit your business process. With this PowerApp, employees can apply for Annual Leave, Sick Leave or other special leave. They can apply using their mobile phone, and the request can be approved (or declined) by their manager. An overview of the current requests is shown with the status for each request. The manager can approve or reject with an optional comment that will be sent back to the employee. Approved! Let’s go on that Holiday! As you can see, PowerApps can help organize your internal processes in a quick and effective way. In the past you had to purchase an expensive HR solution, but with PowerApps you have the same functionality built with a fraction of those costs. 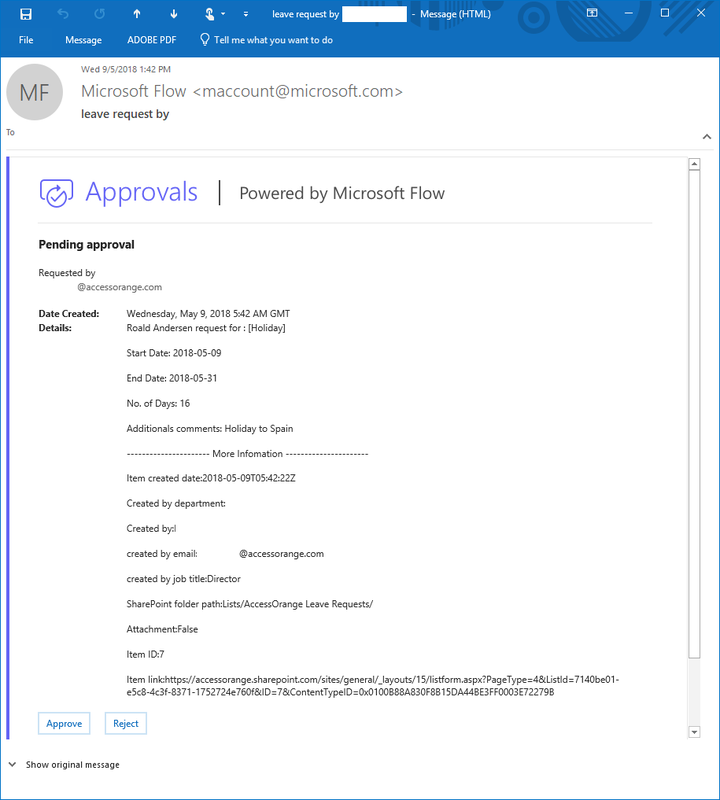 This complete solution was built in PowerApps combined with Microsoft Flow, which are included in the Office 365 Business or Enterprise solution. 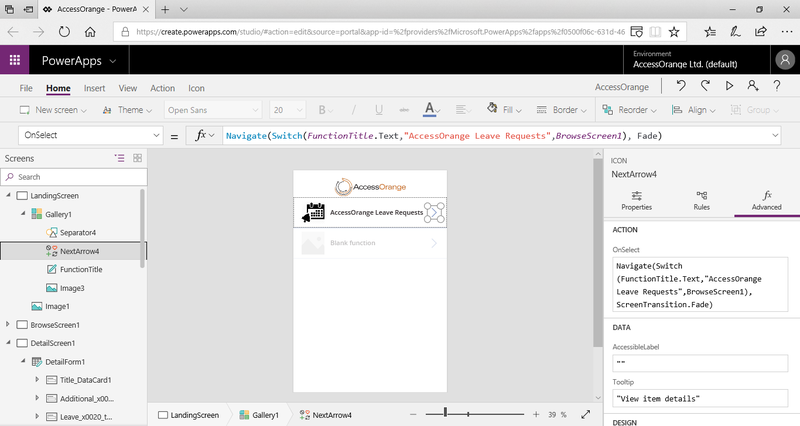 A PowerApp can be easily designed using the intuitive app builder that comes with it. The builder makes it easy to develop the user interface and get your data into your apps with more than 200 connectors for many popular cloud services and even your on-premises data. Want us to build your app for you? We have made dozens of PowerApps for other organizations, therefore we are confident we can build your app as well. Do you want to have an PowerApp developed for your organization? Please contact us now!